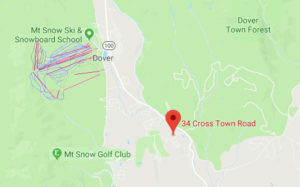 Mount Snow is one of the closet ski resorts to NY, NJ and CT which can cause it to be one of the busiest ski areas in New England, largely due to it being the southernmost ski area in Vermont with quality trails, restaurants and amenities. A large portion of its customers are seeking “Vermont” skiing at the shortest drive possible. If you can call a four hour drive… short. Here is our guide to a ski day at Mount Snow. Hopefully you have already purchased your lift tickets online because the daily ticket window rate can be anywhere from 10-30% higher. Stop at World Class Ski and Sports across from 7-11. Great selection of equipment and world class boot fitting. If you are skiing and riding Mount Snow you are either driving or taking the Moooover to get to the base area. If parking you need to decide where you will end your day. The Carinthia side, or the Main Base. This year, 2018, Carinthia will be getting a new lodge and expanded parking. Typically this side of Mount Snow is less hectic and less congested. Hopefully the new improvement will not impact that. The Main Base has multiple parking lots but the later you show up the longer you will walk. Use the drop off area to unload everything and everyone and then go find a parking spot. The one who draws the short straw is walking but it’s not that bad when you are not caring the skis, poles and bags that the children gave up on. The Main Base also has more restaurant and skier service options. Ski lessons, ski school tubing, guest services and is adjacent to the Grand Summit so naturally this is the busiest part of the mountain. The Main Base Lodge is the place to drop off your bags, grab a table for a quick snack and create your “Home Base” to meet for lunch or if anyone becomes separated. See image below. On weekends avoid the Blue Bird lift. The lines get ridiculously long. The Grand Summit and Canyon Express quads on either side are always a better option. In a pinch the Sundance and Ego Alley triples allows you to grab a lift on the main face without going back to the base. Both Ego Alley and Sundance lifts will drop you in great position to hit some glades. The North Face is served by two lifts but depending on how busy it is only one may be operating. The Northface side of the mountain is definitely the most challenging. Novice and low intermediate should head in the opposite direction. Advanced skiing is almost exclusively limited to the North Face trail pod. The only exception is Bear Trap under the lift. There are a number of trails off the two lifts at the North Face. As a result the advanced skiers often segregate themselves to this trail pod. There is tree skiing around the mountain. Those glades are marked on the trail map. But those sections are small. Some of the popular areas are on the Main Face the area to skiers left of the One More Time trail known as “The Boonies” with some open, low angle trees. The area to skiers right of the Ego Alley Trail known as “Sap Tapper” with a mixture of low and moderate angle trees. The area to skiers right of the Ridge trail known as “The Fantastics” with more moderate angle trees. At Carinthia there is the area of trees to skiers left of the Nitro park known as “Claim jumper” which is a mix of moderate and low angle trees. In the Sunbrook area there’s the area of trees to skiers left of the Thank’s Walt trail known as “Dark side of the Moon” with moderate angle trees. One the North Face, there’s the area of trees to skiers left of the Olympic trail known as “The Trials” with moderate angle trees (tip, just don’t stray beyond the ski area boundary markers down low once it transitions from predominately pine trees into maple and birch trees as the hike back out to the base of the Northface lifts is uphill and can be long if you miss the cut back!). The area between the Freefall and Plummet trails is known as “Epiphany” and has moderate pitched tree skiing, and lastly, the area to skiers right of the Ripcord trail is known as “The Plunge” and is steep tree skiing. Also, if you cross reference a summer mountain biking trail map, you can find a number of narrower, bob sled run type trees centered on the main face off the Canyon Express lift. Speaking of terrain parks, Mount Snow has the best in the eastern U.S. While Mount Snow has an impressive variety of terrain, it’s famous for Carinthia- an entire mountain face dedicated to terrain parks. Comprised of 12 separate parks, Carinthia has over 125 features, a half pipe and a superpipe with 18 foot walls. It’s southern location also means that the weather is warmer than most other New England ski areas. This is a blessing during the coldest days of winter, and a curse when when mixed precipitation approaches. Breakfast: Ok, so if you are driving up to Mount Snow and not already on Mountain this really depends if you are a breakfast person or not. I am not but stopping at Dot’s in Wilmington or West Dover is always a wise choice. Across from Dot’s in West Dover is Sticky Fingers (I recommend… the Sticky Buns of course!) and if you must there are a number of eats in the Base Lodge prior to strapping in. Lunch: When skiing Mount Snow you can either brown bag it and eat in the Main Lodge, which I occasionally do, or you are eating at one of the on Mountain choices. The Bullwheel is located at the summit and I would say the food is better than average for a ski resort. The selection is limited but the lunch sandwiches are delicious. Service can be difficult. I have had to stalk a server to get an order placed. It’s busy! Not their fault. I recommend the Big Bird! Apres: Drag your tired legs into Cuzzins for apres drinks and entertainment. The food is typical bar/pub but good. Service is typically speedy and efficient. You may have to knock off a little early to get a good seat. Our plan is to usually target the most tired skier and rider in the bunch as use a Vulcan mind meld on them. Convince them they can’t possibly ski any longer and have them call it quits, ski to the bottom and save us a table. Free beer for them of course! I recommend the buffalo fries! Apres Dos: My other choice for Apres is to head off mountain and back towards Wilmington and stop at TC’s Restaurant. TC’s is owned and operated by Tim and Rebecca Clark. Tim is Olympian Kelly Clark’s brother and Rebecca her sister in-law. The restaurant and bar has been in the family for…. well I don’t know but I assume a long time. If you get there shortly after the lifts close it will probably be a bit quiet and you should be able to get a seat at the bar. Small and intimate. Buy the bartenders a shooter to start things off! You will be happy you got their early as the bar starts to fill up with revelers looking to discuss the days bounty. I recommend the grapefruit margarita! Sign up to receive discounted rates, specials and news about Basecamp and Mount Snow. Looking for a summer vacation rental on Cape Cod? Take a look at our Dennisport vacation rental.